How UC&C Is Changing the Way We Work. For the Better. UC&C come very much in handy for everyday communication and, most importantly, they make sure the information stays within the company and it can be retrieved later on. This last benefit is actually the key to understanding why and how UC&C are changing the way we work forever. First Things First: What Is UC&C? One of the most difficult challenges businesses face today is finding key information at the right time. According to an IDC White Paper, businesses are losing money because of internal knowledge that can’t be found and retrieved on the spot, exactly when you need it. Timely access to critical information separates the winners from the losers in today’s information economy (IDC). UC&C are present in all of the 4 stages of the information cycle. Actually, one of the benefits of using these systems is that businesses can integrate the communication process to keep information easily available at any given time. As UC&C developers ourselves, we know first-hand how these solutions help businesses of all sizes save time and money by hyperconnecting teams and making information available at any given time. We designed Hubgets as a business collaboration platform to allow team members to communicate lightning-fast. Recently, we launched a freemium package, making Hubgets available for free for small teams of under 20 members. As the product developed, we took more and more interest into the 3rd stage of the information life cycle: finding past information. 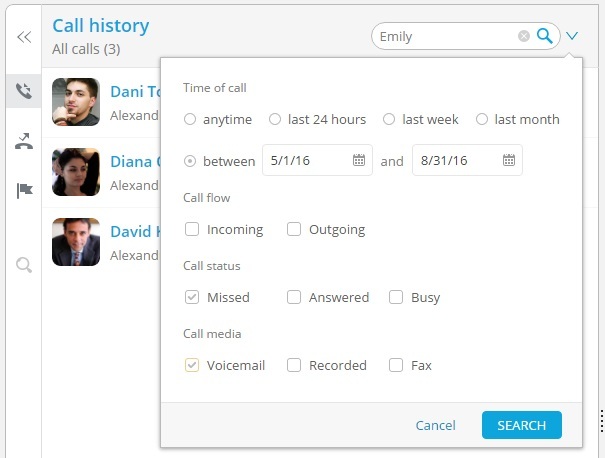 Now Hubgets has extensive features that enable users to retrieve files, calls or chats, using a wide number of filters. 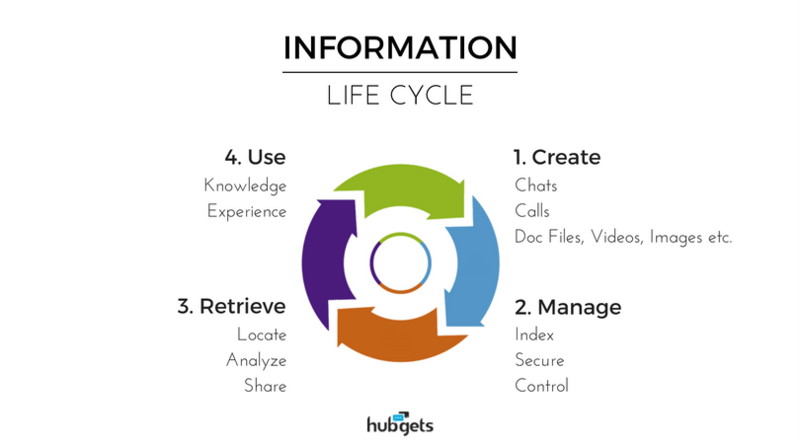 This is just one of the many functionalities we developed in Hubgets to help organizations of all sizes reduce costs associated with finding critical information. Hubgets users can search through their one-to-one chats, team and group chats we call Topics and through the Team board, using a series of advanced filters. Learn more about Hubgets’ Advanced Search and other new releases by visiting our product blog. How are you helping your customers have better access to their business information and to communicate better and more efficiently?